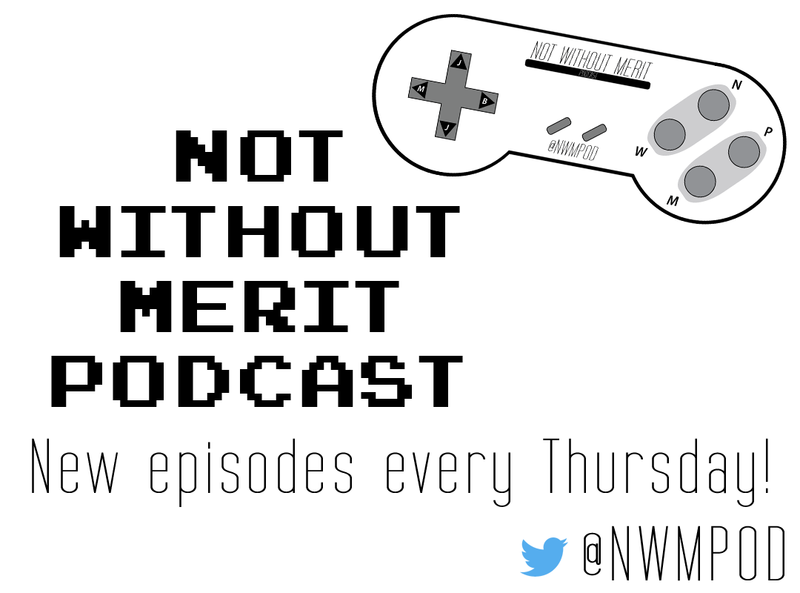 Not Without Merit Podcast – Page 3 – It's a video game podcast! Jake is unfortunately out sick this week (Get well soon! ), but Mike and Ben have played plenty of games to make up for it. Mike has finished Songbringer and INSIDE, while almost completing Mr. Shifty and a few hours into Shadow of the Tomb Raider. Ben is nearing the end of Celeste, making his way through Yakuza Kiwami, and spending time with the arcade classic, NBA Jam. In news we have the announcement of the follow up to Alien: Isolation, a Hitman HD Collection, Ubisoft putting their upcoming titles on the Epic Games Store, and a timed demo for Resident Evil 2. Instead of a Top 5 this week, we take a look at the NFL playoffs and make our predictions on who will win the Super Bowl! Award season is over, now back to the games! And boy did we play a lot of them, so many that I will not even list them here, but seriously, it was a lot. News is short and sweet with the PS+ games for January, along with a strange announcement about a possible re-release of Persona 5. In our Top 5, we pick five things we want to see or accomplish in 2019! Here it is, our season three finale! We gather this week to talk about our favorite TV shows, movies, and old games, assign gaming homework to each other for 2019, and each list our Top 10 games of 2018! Thank you to everyone who has followed our show, we always are grateful of any support and/or feedback you give us, and we all hope you continue with us into the new year. Games, games, and more games! Mike played Bloodstained: Curse of the Moon, The Crew 2, Super Smash Bros. Ultimate, and Black Ops 4. Jake played Darksiders 2, Dead by Daylight, MLB The Show 18, Gwent, and Black Ops 4. Ben played Red Dead Redemption 2, Madden 19, Final Fantasy Tactics, and Black Ops 4, and Black Ops 4. In news, John Romero is releasing a free “sequel” to the original Doom, Black Ops 4 makes a lot of tweaks and updates to their multiplayer and Blackout modes, a new expansion coming to Monster Hunter: World along with Geralt from Witcher 3 making a guest appearance, The Crew 2 has a free weekend, and Nicalis announces three PS4 games for 2019. Instead of a Top 5, we recap all of The Game Awards and talk about our favorite (and least-favorite) moments. Jake is back but the games never left! He’s been playing a lot of MLB The Show ’18, Hitman 2, and Red Dead Redemption 2 online, Mike started ClusterTruck and Butcher while continuing with Hitman 2, Black Ops 4, and Fallout 76, while Ben is also deep into Fallout 76 and Black Ops 4. In news, we have the reveal of a Creative Mode coming to Fortnite, the delay of Path of Exile on PS4, new characters in Tekken 7, new games and a discount for Playstation Now, THQ acquiring yet another IP, and the Playstation Classic is already breaking cracked! For our Top 5 we finish our favorite monthly releases with December! Sickness is tearing through the show as it claims Jake as this week’s victim, thankfully Ben has recovered and we hope Jake will soon! Mike has dove deeper into Hitman 2 and to no surprise is loving every bit of it, he started The Crew 2 with positive reviews so far, and of course has played a ton of both Black Ops 4 and Fallout 76. Ben has played a bunch of Black Ops 4 and Fallout 76 as well, along with more Red Dead Redemption 2, but still has not completed the story. The end of November brings us the PS+ games for December, future updates for Blackout mode in Black Ops 4, how Bethesda will handle future communication on the updates of Fallout 76, the trademarks of a new Alien game, and Guacamelee 2 heading to Switch, Xbox One, and PC. In our Top 5, we choose our favorite developers/publishers!